Crashing and killing is always fun, but it’s not fun enough to keep this game going for long. If you are anything like me, you grew up in the golden age of video games, where a title allowed you to just drive around and kill anyone and blow up anything that got in your way. 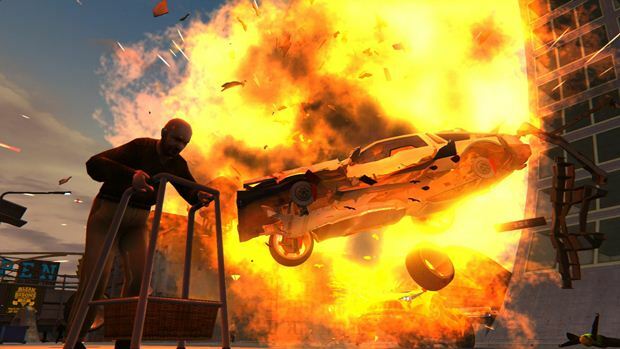 Now five editions into the Grand Theft Auto franchise, Carrmageddon: Reincarnation seems like a warmed over relic, but then again it was never supposed to feel like some brand new idea. Anytime a title has something in it like “Reincarnation” you know this is more about bringing back some of the old things that made the predecessors so good and then adding a little something extra for flavor. If that was indeed the aim of Stainless Games, then the company did indeed pull off what they set out to do. If they were looking for a game that was going to bring a great deal of love and admiration back to the series then they have fallen short. Reincarnation is everything that did indeed make the series one of the most popular games in its generation. There is plenty of crash-em-up and kill-em fun to be had in this game. "There is plenty of racing too, though, like other Carmageddon games, causing as much damage and destruction always surpasses any desire to see if I could actually win a race here or there." There is plenty of racing too, though, like other Carmageddon games, causing as much damage and destruction always surpasses any desire to see if I could actually win a race here or there. Luckily, the game brings the same kind of ‘side missions’ as previous versions in the series had. In other words, in order to win rounds, I didn’t necessarily needed to finish first in whatever race I was running. The other way I could accomplish goals and win the round in my “career” was to run over as many people or destroy as many other cars as possible. All of this was set to the background music that is a staple of this game, which is a combination of techno and heavy metal. Of course, it’s been so long since I actually played another Carmageddon game, it’s possible that I’ve forgotten that the original didn’t have any techno in it. This might be an addition specifically for the 2015 addition to a series that has been running for more than 20 years. The music certainly gets me in a killing mood and when it comes to killing, business is good. Bodies go flying early and often and there’s plenty of blood flying as well, though this is also where the game reminds me just how much it falls short of other titles that offer the same kind of mayhem. Despite the fact that this series is one of the first that actually allowed you to do some real damage to people that were just out on the sidewalks trying to mind their own business, it doesn’t appear much has changed. "The music certainly gets me in a killing mood and when it comes to killing, business is good. Bodies go flying early and often and there’s plenty of blood flying as well, though this is also where the game reminds me just how much it falls short of other titles that offer the same kind of mayhem." Watching a grandma with a walker go flying over my car hood is still plenty satisfying when I’ve had a bad day, but GTA seems to have taken the crown away from Reincarnation and the like when it comes to realism. Of course, because this game is really a call back to a bygone era, that can be excused somewhat. This isn’t supposed to be “remastered” version of the old games. It’s supposed to be a new entry in the series and it seems as though it’s supposed to be an entry that acts like the last decade in video games never existed. 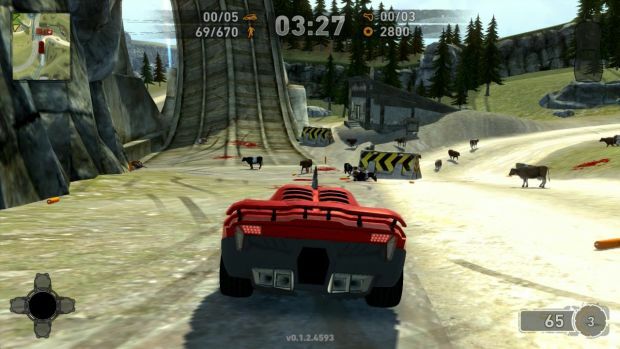 The graphics for Carmageddon were never meant to look anything like Project CARS. 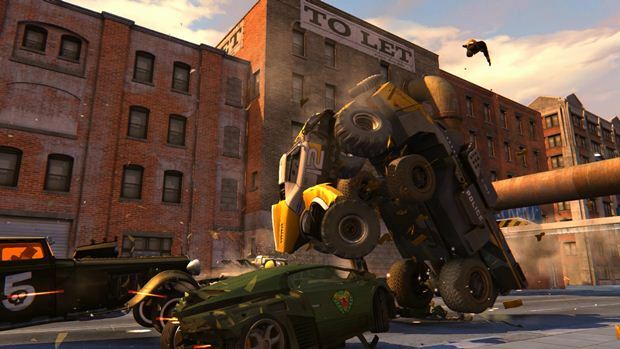 The game has a cartoony appeal and therefore the cars and the people have a cartoony look. There’s nothing wrong with this approach. Some of my favorite games (Borderlands 2 and The Walking Dead) from the last couple of years are going entirely for an art style that is in your face about the fact that they are illustrated rather than mimicking real life. I have no problems at all with the game in that regard. Still, the cartoonishness seems to stop right at the water’s edge and doesn’t take the next step. Why not make the gore really over the top if you’ve already decided to go with gore? Carmageddon disappoints in this regard as well, go big or go home, especially when going big will actually make the game better. "The ingame world is one that isn’t anything special but does indeed harken back to the Carmageddons that came before it in a pleasing way." The ingame world is one that isn’t anything special but does indeed harken back to the Carmageddons that came before it in a pleasing way. What we need to talk about now is how poorly the game runs. At first, I thought perhaps the massive loading times had something to do with my computer going on the fritz. Then I tried booting up any other game and realized that Carmageddon: Reincarnation is simply a title that runs incredibly slowly. There were also some times when the framerate would drop way down or start to stutter. When you’re talking about a game that isn’t all that pretty to begin with, this becomes a kind of death knell for the title. 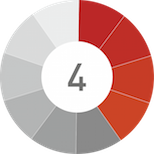 In the end, I had some fun with the game, but when you consider the title seems to be one aimed at someone who wants to pick up and play the game from time to time, loading screens that can take five minutes isn’t a good thing. 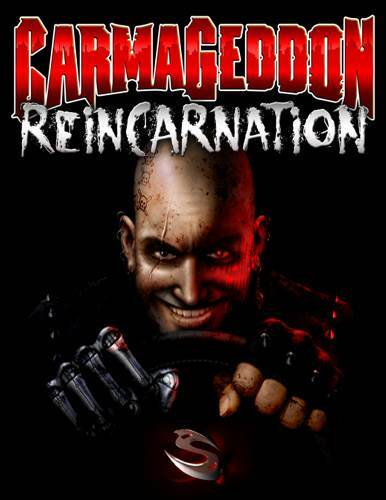 Carmageddon: Reincarnation does a great job of harkening back to when this series was capturing our hearts and minds. The game looks quite a bit like its predecessors. The crashing of cars and maiming of innocent civilians is always a good time. There’s one particular scene, early on when I’m to mow down a football team on their field which was especially entertaining. Loading times are ridiculous, especially for a game that shouldn’t need to take that long to render. In game performance issues abound as well. The crashing, racing and maiming as many people as possible gets old after a while, and you realize that’s all there is. It is still Carmageddon if that’s what you’re looking for. For everyone else, look somewhere else.